Troubled by empty tables and bar stools? If you've made it to this page, it means you're ready to get listed. So, let's get to work. Fill out the form below including all the required fields. Images should be sent via Dropbox or another program capable of delivering large files. Send to ads@preview918.com. To the best of my knowledge, the information submitted above is accurate and I am authorized to submit this information under the terms set forth. Your submission has been received. 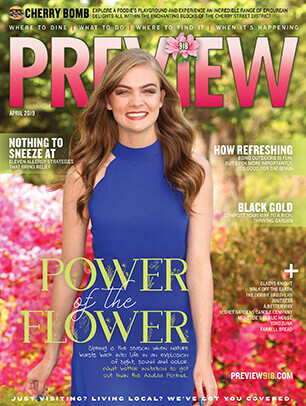 Make sure you send images (Dropbox is preferred) to ads@preview918.com. Something went wrong while submitting the form. You may and not filled out a required field. Try again. Preview 918 will use this information to create, update and/or maintain the accuracy of the content displayed on Preview918.com. The person who submitted the above information authorizes Preview to use and incorporate this content into its family of social media, digital and print properties and disclaim any legal interest in the information or manner in which the information is compiled and presented by Preview 918 or its licensees. Preview 918 also retains the rights to edit all editorial to conform to standards and style. The combination of magazine advertising and digital advertising has the highest ROI of any media combination.